I recently was asked by another blogger to post on what I view as my image of God. In our heads we all have different images of God's presence in our natural world, so what is your image? I could find no picture of the image of God that I had; the closest I could find of my image of God was a website with the sun. My image of God is one set early in the morning when the sun is just rising over the distant and beautiful purple and red streaks blaze across. And as the sun rises a deep, golden Cross shines upon the sun - the sun though is shaped as the Eucharist. And finally as the bright orb reaches its peak the sky clears into soft blue - a lasting reminder of God's love of the cross and the glory in the Resurrection. Add links to your images below. Today Pope Benedict XVI visited the main children's hosptial in Rome: Bambino Gesu. It was an extremely poignant trip. At the end of my Visit, I am glad to speak to you and to thank you for your warm welcome. I am grateful to the President of the "Bambino Gesù" Paediatric Hospital for his words on behalf of you all, words of faith and true Christian charity. I greet the Presidents of the Region and of the Province, the Mayor of Rome and the other Authorities gathered here. My gratitude then goes to the Administrators, Directors and Coordinators of the Hospital Wards, and to the doctors, nurses and all the personnel. I address you in particular with affection, dear children, as well as your relatives who are beside you to care for you. My heartfelt thanks go to your representative who has paid me a kind tribute on behalf of the entire family of the "Bambino Gesù". I am close to each one of you and want to make you feel God's comfort and blessing. I would like to express these same wishes to those in the branches of this hospital at Palidor and Santa Marinella, who are equally close to me. I chose the "Bambino Gesù" for my first Visit to a hospital for two reasons: first of all, because this Institution belongs to the Holy See and is caringly watched over by the Cardinal Secretary of State, who is present here. Passing through several wards, meeting so many suffering little ones, I thought naturally of Jesus who loved children tenderly and wanted them to be allowed to go to him. Yes, like Jesus, the Church too expresses a special fondness for children, particularly when they are suffering. And this is the second reason why I have come to see you: to witness personally to Jesus' love for children, a love that wells up spontaneously from the heart and that the Christian spirit nurtures and strengthens. 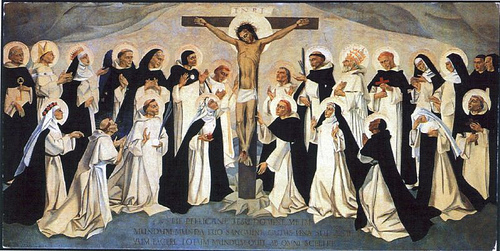 The Lord said: "As often as you did it for one of my least brothers, you did it for me" (cf. Mt 25: 40, 45). In every suffering person, especially if he or she is little and defenceless, it is Jesus who welcomes us and is expecting our love. Consequently, dear friends, the work you do is important. I am thinking of the advanced surgery that has made the "Bambino Gesù" famous. But I am also thinking above all of the ordinary everyday work: of the welcome, hospitalization and painstaking care provided to the small patients - and there are so many of them! - who have recourse to your health-care structures. This requires great availability and a constant effort to increase the available resources; it demands attention, a spirit of sacrifice, patience and disinterested love to ensure that parents find here a place where they can breathe hope and serenity, even in moments of the most acute anxiety. Permit me to say another word precisely about the welcome and care that is given to those who are sick. Here you are concerned to guarantee excellent treatment, not only from the medical but also from the human point of view. You seek to give a family to the patients and those who are with them, and this requires a contribution from all: the directors, doctors, nurses and staff in the various wards, the personnel, and the many praiseworthy Organizations of volunteers who daily offer their precious service. This approach, which is effective for every clinic, must be a special feature of those inspired by Gospel principles. For children, then, no resources should be spared. May every project and programme, therefore, always be centred on the good of the sick, the good of the sick child. Dear friends, thank you for your collaboration in this work of great human value that is also an especially effective apostolate. I pray for you, knowing that this mission of yours is far from easy. However, I am convinced that everything will be easier if, in devoting your energy to all your little guests, you are able to recognize in their faces the face of Christ. When I went to pray in the chapel I met the priests, women religious and all those who accompany your work with their dedication, assuring in particular an appropriate spiritual animation. May the Church herself be the heart of the Hospital: draw from Jesus, truly present in the Eucharist, from the sweet Doctor of body and soul, the spiritual strength to comfort and care for all who are hospitalized here. Lastly, as Bishop of Rome, may I be permitted to make a supremely pastoral reflection. The "Bambino Gesù" Hospital, in addition to being an institution of the Holy See that directly provides practical help for sick children, is an outpost of the Christian Community's evangelizing activity in our City. Here a practical and effective Gospel witness can be offered in contact with suffering humanity; here, the power of Christ, who with his spirit heals and transforms human existence, is proclaimed through deeds. Let us pray that together with their treatment, the love of Jesus may be communicated to the little ones. May Mary Most Holy, Salus infirmorum - Health of the sick, whom we feel yet closer as Mother of the Child Jesus and of all children, protect you, dear sick children, and your families, the administrators, the doctors and the entire Hospital Community. I impart my Apostolic Blessing with affection to you all. The Church is intrinsically opposed to human cloning because human cloning takes God out of our lives and we make false gods of ourselves. We can't create life. Can we create a soul? No, and for this reason human cloning (research and experimental) is entirely wrong; only God, the author of all life, can create an immortal soul. Recently, in a Sept. 29, 2005, article I read that Wisconsin just passed a bill banning all human cloning but will be vetoed by the governor. I will keep readers updated if I hear more on the bill in the future. Please, let's all pray that Wisconsin can overturn the veto and this bill can still become law. Right now in the US 6 states have banned all forms of human cloning: Arkansas, Indiana, Iowa, Michigan, North Dakota and South Dakota. Today the Church remembers St. Jerome (347 - 419). 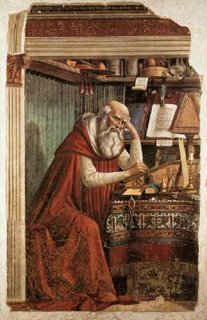 St. Jerome was born to a wealthy pagan family, and he spent his youth in pursuit of worldly values before going to study law in Rome. In 365 AD, St. Jerome was baptized and converted to the Catholic Faith, the only Christian Faith at the time. After his interior conversion, St. Jerome began to live as a monk. He lived for many years in the Syrian Desert as a hermit. It is said that one one occasion, St. Jerome removed a thorn from a lion' s paw, and the animal stayed loyally at his side for years. St. Jerome was a Student of Saint Gregory of Nazianzen and became a priest. 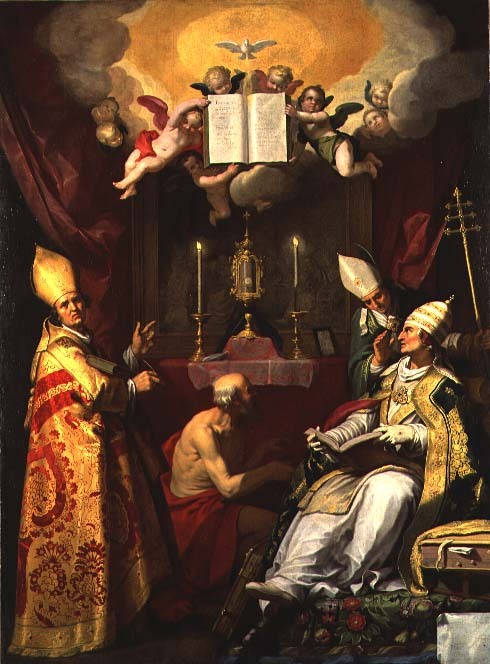 He was also the Secretary to Pope Damasus I, who commissioned St. Jerome to revise the Latin text of the Bible. After 30 years, the Latin Vulgate was created. St. Jerome was also the friend and teacher of Saint Paula, Saint Marcella, and Saint Eustochium. After all of this, St. Jerome returned to live as a hermit in the Syrian deserts and remained there for the last 34 years of his life. 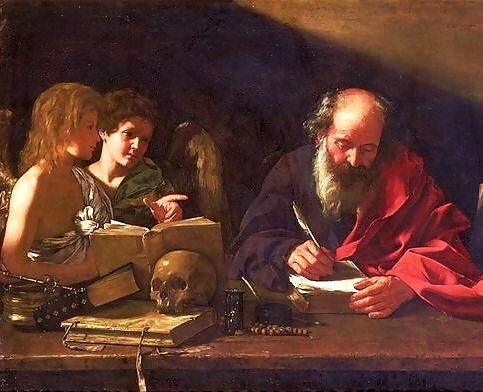 St. Jerome wrote translations of Origen, histories, biographies, and much more. He is also a Doctor of the Church as well as a Father of the Church. In 419 AD, St. Jerome died, and his relics are at the Basilica of Saint Mary Major in Rome. We can learn from Saint Jerome, not that sainthood is only for hermits, but that sainthood is made of many paths that all intersect in the one to come on the narrow road. We can be hermits, priests, layman, etc. But we can still find Christ. 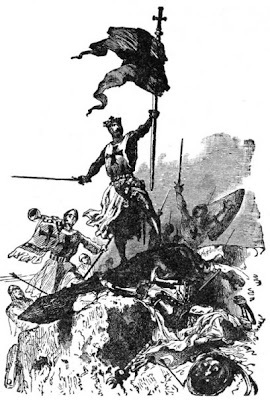 The most important thing though is that no matter what title that we have in front of our name (Mr., Fr., etc) we remember that we have a more important title - Catholic. 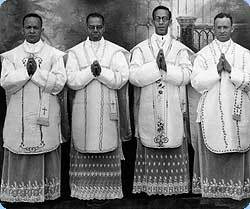 And we should live the Catholic life in its entirety by not only going to Mass but by prayer to God and love for Him and others. Love is the road to Heaven. Since the Holy Spirit, the Comforter, had bestowed the Scriptures on the human race for their instruction in Divine things, He also raised up in successive ages saintly and learned men whose task it should be to develop that treasure and so provide for the faithful plenteous "consolation from the Scriptures." Foremost among these teachers stands St. Jerome. Him the Catholic Church acclaims and reveres as her "Greatest Doctor," divinely given her for the understanding of the Bible. And now that the fifteenth centenary of his death is approaching we would not willingly let pass so favorable an opportunity of addressing you on the debt we owe him. For the responsibility of our Apostolic office impels us to set before you his wonderful example and so promote the study of Holy Scripture in accordance with the teaching of our predecessors, Leo XIII and Pius X, which we desire to apply more precisely still to the present needs of the Church. 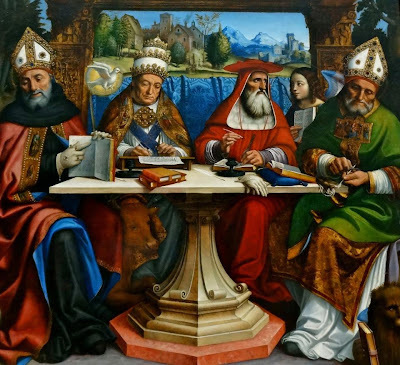 For St. Jerome -- "strenuous Catholic, learned in the Scriptures," "teacher of Catholics," "model of virtue, world's teacher" -- has by his earnest and illuminative defense of Catholic doctrine on Holy Scripture left us most precious instructions. These we propose to set before you and so promote among the children of the Church, and especially among the clergy, assiduous and reverent study of the Bible. 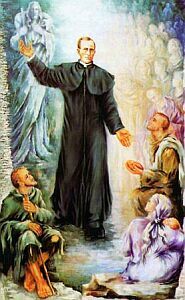 O God, Who in blessed Jerome, Thy Confessor, didst vouchsafe to provide for Thy Church a great teacher for expounding the Sacred Scripture: grant, we beseech Thee, that through his merits and prayers we may be able, by the help of Thy grace, to practice what he taught by both word and example. Through our Lord. Humility is called the greatest virtue from which all other virtues arise. It is precisely by priding ourselves that we deceive ourselves the most. In truth, compared to Christ we are nothing at all. But, still as slaves to sin, Christ came and was not born in a kingdom but rather as a young child in a stable in swaddling clothes. This is precisely the great paradox of Christianity - Christ humbled himself to die for us while He is deserving of all glory and praise. So, if we are to carry our crosses and walk with Christ to His Resurrection we must follow Him. We must love Him and through the best of our abilities love and serve Him. Above all, we must love and how can we love if we don't care? How can we love if we make ourselves worth more than others? It's true. Adult stem cells have cured a paraplegic after living in this condition for 19 years. These cells are supported by the Church because they came from umbilical cord cells that didn't result in any death unlike embryonic stem cells. "Peace is not the product of terror or fear. Peace is not the silence of cemeteries. Peace is not the silent result of violent repression. Peace is the generous, tranquil contribution of all to the good of all. Peace is dynamism. Peace is generosity.It is right and it is duty." You may know him as Archbishop Oscar Romero, but he was not only a Catholic Archbishop in El Salvador but rather an instrumental person in the peace of the country. And the price for his work in the peace led him to his death in 1980 - he was shot at the Consecration of the Eucharist during Mass. Right now I'm watching the video, "Romero," a movie on his life and will be posting more in the next few days. I just watched a video on poverty and felt compelled to spread it to others through this blog. Please watch the video from the USCCB and let me know what you think. Poverty is a horrible issue. Poverty is classified into specific groups so for more information please see a past post of mine. However, I'd like to share that roughly 21% of the world is in extreme poverty - making less than $1 per day. Imagine how hard life is with $1 per day. But, we can make a difference. Let's pray for these people. Let's donate money. And, above all, let's care; apathy is the enemy here. The opposite of good is not evil but rather apathy, not caring. 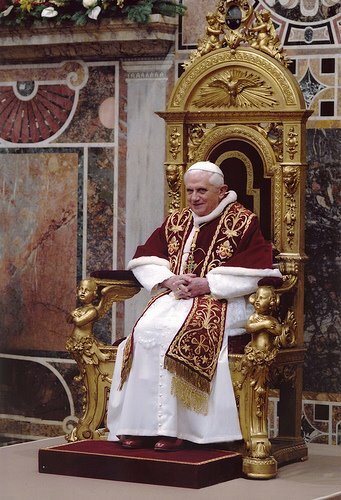 Pope Benedict XVI is our current successor to St. Peter and consequently the leader of the Roman Catholic Church. It was on St. Peter that Christ founded His Church (Matthew 16:18), and the Holy Father has led us into a deeper love for Christ. Why do the popes have a theological advisor? Don't Support "Saves Lives to Save lives"
Parish Priest: Father Michael McGivney and American Catholicism by Douglas Brinkley and Julie Fenster. Let me know if these book reviews help you out. I've done book reviews for readers before. If you are a convert and seeking book recommendations, see this post. Many though not all of the above items were given to me to review by their publishers. As such, I received free copies of their books in return for posting my review online. 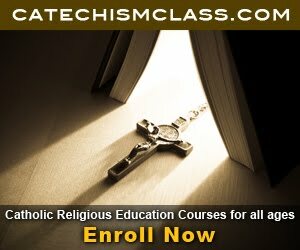 What is a Catholic Saint and how does one become one? Why do Catholics value matyrdom and martyrs? 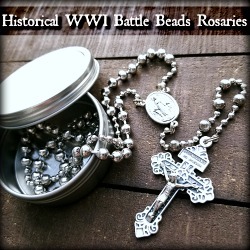 As a final recommendation, consider checking out the items at Penny's Little Treasures - Minibooks on the Saints. There are some great books and ebooks on the saints there. What are the Five types of prayer? 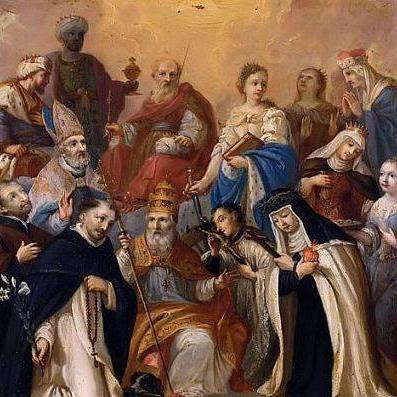 St. Albert the Great wrote in Mary, Canice, p. 36: "Immediately next to being God is being the Mother of God." She held a unique role in salvation's history. 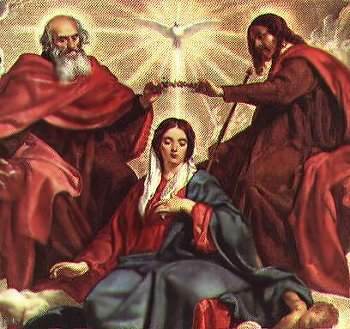 Jesus Christ redeemed us, but Mary remains the Mother of Jesus and our spiritual mother. She is not equal to God but rather the most glorious person created by God because of her humility, trust in God, and above all, her Immaculate Conception. Canon Francis Ripley writes in This is the Faith pg. 367: "Because of the inexpressible dignity that is hers, the Catholic Church has from the beginning given Mary the highest form of honor below that reserved for God alone. The Church's practice has always reflected her belief that, provided Mary is not "adored" (which is the unique honor given to God alone), she cannot be honored to excess." That she is Mediatrix of all Graces, Co-Redemptrix and Advocate for the People of God. Numbers 1-4 inclusive have all been defined as infallible and must be believed. Number 5 has not been made a dogma of the faith. It is not a required belief of the Church. 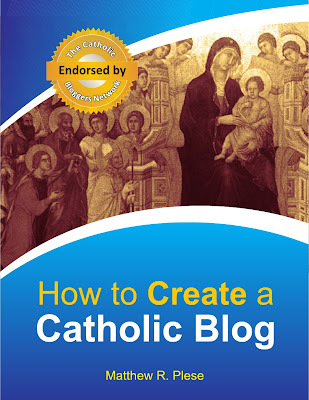 How to Pray as a Catholic?